....but NOooooo, she not only got rid of them, but made me clean my room occassionally. Talk about child abuse! Other than that, she was a perfect Mom!! 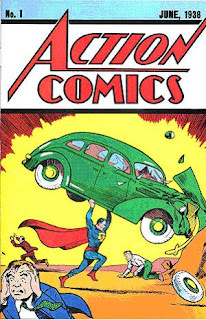 By now you've heard that the first Superman comic book recently sold for 1 Million dollars! 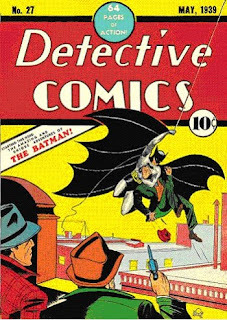 A few days later, the first edition of a Batman comic sold for 1 Million 75 thousand dollars! At one time I had BOTH of those comics. Chances are if you were into comics like I was...you had them too! Nothing against Elizabeth School, mind you, but I learned to read.........from comics, not school. For years, Bobby Burris and I traded comics at least once a week. Between the two of us I venture to say that at one time or other we had read 90 percent of all the comics ever printed in this country. Ellouise (Diggle) Schoetteler found this recent interview with a Charlotte "institution:"
Take a look, you'll enjoy it. Yesterday Becky and I went to see our grandson Warren's middle school (Wiley MS 8th graders) basketball game. The game was played at Jefferson Middle School. Jefferson was undefeated. Wiley, Warren's team, had lost one game. Wiley took an early lead, about 10 points at the half, against a bigger team. The Jefferson team cut the lead to two or four by the end of the third quarter, The crowd was very excited and loud, naturally pulling for the home team. Midway through the fourth quarter Jefferson pulled ahead. Wiley was on the ropes. It looked like the home team was on the way to victory. Then an amazing thing happened. One of the Wiley stars tried to take over the game. He dribbled around, juked his man and drove for the basket. He was clobbered on the way to the goal, sprawling on the floor. Time out. The Wiley coach took him out and replaced him with the smallest kid on the team. By rule every player on the team must play in every game. Honoring this rule, the Wiley coach took out the star who appeared to be hurt and put this little kid into the game for the first time. Mind you, this kid usually plays less than 60 seconds. To make things more strange, the Wiley coach tried to get his No. 1 star on the foul line for the critical free throws. The Jefferson coach smelled a rat and complained to the officials. He was right, of course. So, the refs told Star No. 1 to step aside. The crowd roared its approval. Up stepped the little kid who had not played more than five minutes all season. The yelling intensified as the child got the ball from the referee. The kid dribbled a couple of times and shot. The ball skimmed the front of the rim and dropped cleanly through the basket. Now Wiley was one point behind. The ref handed the ball to the kid again. He shot. It was instant replay. Kerplunk. The child whose coach did not want him to shoot the foul shots made them both and tied the game. I almost cried. 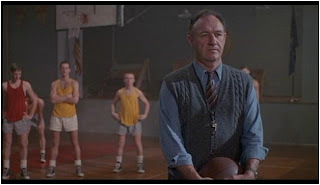 The Jefferson players never recovered. Wiley won the game. It was a wonderful thing for our gang. You should have been there. It was just like that Gene Hackman movie...only we were there. Thank you for listening. Like Dean Martin sang, "Memories are made of this." May the lord bless everybody, particularly those little kids who are not good enough to play in the games. The 2010 Butler team plays in the gym where "Hoosiers" was filmed. This is the same gym where the real game was played years before the movie was made. The real Hickory High was in fact Milan High. The big school was Muncie Central. Milan won on a last-second shot. Here is, with all due respect to Paul Harvey, "the rest of the story." For the 1958-9 basketball season I was the basketball "color" announcer for the Duke campus radio station. Jim Faris, one of my fraternity brothers, was the play-by-play man. At the time of Milan's improbable victory, Jim was living in Indiana. Not only was he living in Indiana, he was a student at Muncie Central. Not only was he a student at Muncie Central but he was at the game when Milan beat Muncie Central. Had that last Butler shot beat Duke, I am sure Jim would have croaked. Me too. 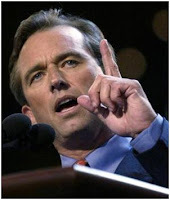 Jim has been practicing law in the DC area. He has retired, He and his wife Joan are moving to Indiana. I guess you can go home again. Jerry Gaudet reports that Don Bryan's wife, Betty, suffered a fall on January 11, breaking her hip in three places. Don is presently her only caregiver. Some of you may know that Betty took care of Peggy (Don's first wife, classmate Peggy Strawn) in her last days. "This e-mail is to let you know I have been very ill for the past six weeks. My doctors have confirmed that I am in the final stage of the disease (idiopathic pulmonary fibrosis - for which there is no cure). I was given 3-5 years to live 8 years ago when first diagnosed with this animal. Unfortunately I have reached the end of the line. It has been a great ride with a wonderful husband, family and great friends. I want to thank all of you for your e-mails, prayers and cards. I no longer have the strength to maintain my e-mails on a daily basis so I will ask that you restrict your e-mails to personal. Much love to all of you - Nancy"
(What a trooper she is! What an inspiration she's been to all of us who have loved her all these years! 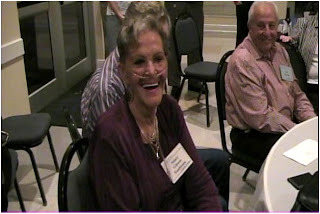 She and her loving husband drove all the way from Florida in a car full of oxygen tanks to be at our 55th Reunion! I saw this postcard on eBay today. It's from the 1930's...which I understand was the golden age of postcards. The price for mailing postcards stayed at one penny until 1952, when it went to 2 cents. It now costs 28 cents to mail one. I wish eBay had shown the reverse side of the card. I'd love to read the message. But, since I don't plan to bid on it, I'll just have to imagine what it might say. Having a wonderful time, wish you were here. Thought you'd like to know that they're going to chop down the tree and cement over our high school's beautiful front lawn for a main road to be called "Elizabeth Avenue." If they keep this up, next thing you know they'll cement over practically everything and build tall buildings....etc....until we won't even recognize our little town. -Sam"
"Attached are several photos from this morning. I know you guys were covered with tons of snow but the small amount we got overnight looked pretty this morning. Oh, by the way several years ago in a January, I think, we got 21 inches of snow overnight accompanied by high winds that made the snow into 10-12" ribbons and it was really surreal. I tried to take photos of the "snow ribbons" but did not have a fast enough camera. Another note, the class of 55 is planning a 55th reunion on May 15th. I guess we just had to copy what you guys did." 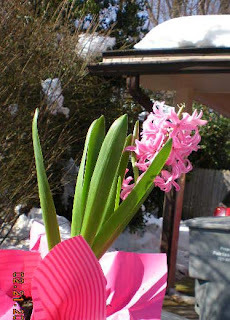 ...of February, there's light at the end of the tunnel! If it weren't for the obvious earthly artifacts (houses, cars, lamp posts, etc.) this photo could easily be mistaken for one taken on the surface of the moon. I don't know when I've been so glad to see the sun! Even though there's still a foot of snow underneath what appears to be a "plowed" street.....the plowing happened between storms. During the height of the storm yesterday, the snow plows were ordered to stop. They were completely overwhelmed. Things are quite a mess here in the Washington/Northern Virginia area, but that sunshine has lifted your humble webmaster-czar's spirits greatly! There are still things to be concerned about.....like collapsing roofs, hazardous driving conditions, 5 foot (and worse) snow drifts, etc. But frankly, today, I'm concentrating on the positive aspects of the storm. #1 - The government has been closed for almost a week! 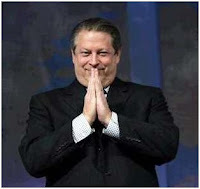 #2 - Al Gore is nowhere to be found! I'll think of more as the day goes on. Please feel free to add to my list. Another foot of snow is expected here before this ends tonight. The Falls Church Fire Station's roof collapsed......so folks up here have something else to worry about. It's estimated that our 2 feet of snow we got the other day has put about one ton of weight on the roofs of the homes.......I haven't heard how much another foot of the stuff will add to it. The picture above was taken looking out my front door. 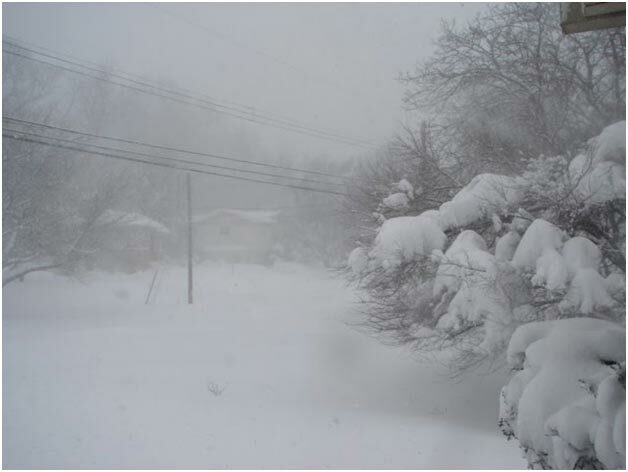 Below is what it looks like from Ellouise's window....a few miles north of me in Maryland. Ellouise has a few more pics up on her website. She says that "... if you ever yearned for snow when we were kids.........then HERE IT IS!" Also, check out the video she posted on her site yesterday. It's very funny....AND short. Shirley Maynor spoke with Nancy Gibson Tomlison today. Unfortunately, Nancy's health concerns are not improving. Nancy asked that everyone hold emails until further notice saying she is not up to reading and sending right now. Nancy's energy and breathing ability are diminishing. Former Central High School teacher Don Newman died Sunday afternoon, 2/7/10, at Carolina Medical Center in Charlotte. Don had been in failing health for some years, and had been in the hospital for several days when he passed away. The Newman family will receive friends Tuesday, February 9, at Wilson Funeral Home on Albemarle Rd,, 6:00 - 8:00 PM, and the funeral service will be at Hickory Grove United Methodist Church on Wednesday at 2:00 PM. 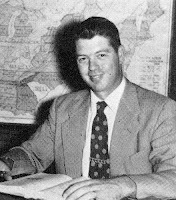 Mr. Newman, a native of Clinton, grew up on a farm in Sampson County, North Carolina, and retired as a principal in the Charlotte-Mecklenburg School System. He first taught at Piedmont Junior High School and Central High School. 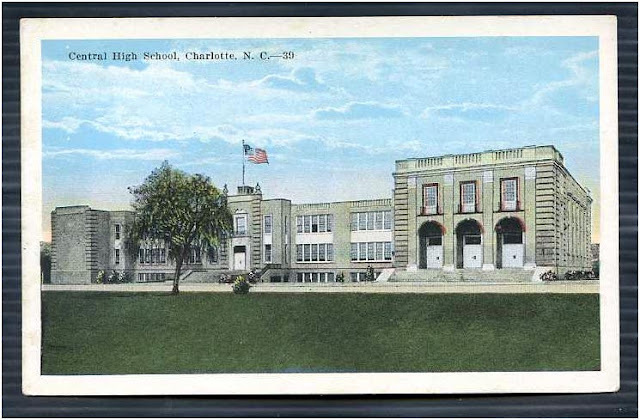 Then he served as Principal at Piedmont Junior High School, Ranson Junior High School, Olympic High School, and Tuckaseegee Elementary School. He earned his BA degree from UNC-Chapel Hill and his Masters of Education degree from the University of Iowa, Iowa City, Iowa. He was a World War II Naval Veteran and served in the Pacific on Convoy duty and in the Philippine Islands. He is survived by his wife, Sally, and by his children, Donna Newman, PhD, of Raleigh, NC, Sara Johnson of Nashville, TN, Laura Newman of Aiken, SC, Debra Callahan of Harrisburg, NC, Lisa DeLane Huneycutt of Concord, NC, Melanie Perry of Albemarle, NC, Kathy Nixon of Franklin, NC, Susan Brown of Gastonia, NC, by his brother, James Francis Newman of Clinton, NC (formerly of Norfolk, VA), his sister, Peggy Royal of Sampson County, and by his numerous grandchildren and great-grandchildren. He was preceded in death by his first wife, Lucille Newman, his eldest daughter, Sylvia Gregory, his son, Neil Griffin, Jr., all of Charlotte, NC, and his brother, Oswald Max Newman, of Clinton, NC. He and his family were blessed to have had Angela Leigh to take care of him during his last few years of life. Visitation will be held from 6 to 8 p.m. on Tuesday, February 9, 2010 at Wilson Funeral and Cremation Service, 5301 Albemarle Road, Charlotte. 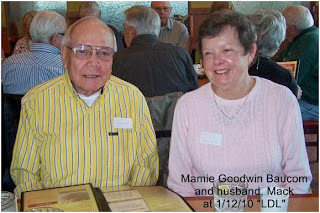 The funeral service will be held at 2:00 p.m. on Wednesday, February 10, 2010 at Hickory Grove United Methodist Church. The Rev. Arnie Corriher will officiate. Interment will follow at Sharon Memorial Park. In lieu of flowers, memorials may be sent to the Choir Fund at Hickory Grove United Methodist Church, 6401 Hickory Grove Road, Charlotte, NC 28215. I know you're getting tired of hearing about all the snow we're getting up here in Virginia. I know that Linda and I are tired of it! We're expecting another foot of it.....on top of the 2 feet we already have...and they're predicting a lot of wind and ice along with it. I expect to say "goodbye" to our electricity any moment now. But, so far, so good. 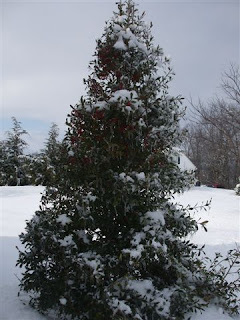 Don Nance sent us a couple of beautiful photographs taken outside of his house in Wythville, VA...around Christmas time. If any of you have pictures.....or stories...you'd like to share, please send them along. I've got a lot of time on my hands right now. "...meanwhile, Exxon Mobil and its carbon cronies continue to pour money into think tanks whose purpose is to deceive the American public into believing that global warming is a fantasy." So now I know who's responsible for this: Exxon Mobile! Just wait until I get my hands on that evil "TONY THE TIGER!" That's what they're calling it up here in the Washington/Northern Virginia area This is what it looks like out my front window at this time (12:20 pm notice mailboxes). They say we're about half way through this storm. This is what my car looked like early this morning...right outside my carport. I would show you what the roof of my house looks like....but I can't get out my front door. This is a shot of the tree that fell this morning between my house and the house next door. If you don't hear from me for awhile......you'll know that the snow finally covered us up completely. So far I'm hearing that over 90 thousand Virginia residents are now without power.....hope mine stays on for a little while longer. Maynor, the LDL events have proven to be a highly anticipated feature among the 54 Wildcats. A couple of "first time" visitors at January's bash at Jimmies of Mint Hill were: Mamie Goodwin Baucom and husband Mack and John Merritt. The NEXT LDL fest will be held on February 9th at Jimmies beginning at 11:30am! Our deepest sympathy to Mary Ran Norton Kratt on the passing of her mother. Mrs. Norton, 100, a resident of Plantation Estates in Matthews, died in her sleep January 30, 2010. Born in Prosperity, TN on July 31, 1909, she was a unique and spritely soul, the youngest of eight children and the only girl. She grew up in North Carolina's Mecklenburg and Gaston counties where her father, Rev. James Boyce Hood, held his final pastorates in Associated Reformed Presbyterian churches at Back Creek and then at Pisgah near Crowder's Mountain. Her mother was Eva Lee Hickman Hood, a native of Rockbridge County VA. A graduate of UNC-Greensboro, Martha taught English and Latin in high schools in Mt. Ulla, Mooresville, and Mt. 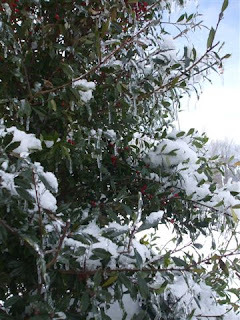 Holly, NC and in Beckley, WVA. At Duke University graduate school in 1932, she met fellow student Randolph Norton of Deltaville, VA, whom she wed in 1934. They were married 66 years. Martha was an exceptional teacher, lively storyteller, Girl Scout leader, fisherman, swimmer, homemaker, rock collector, longtime member of Sardis Presbyterian Church and the American Association of University Women, and a much loved parent and grandmother. She was a descendant of early Mecklenburg settler Tunis Hood, who arrived in Mecklenburg County in 1775 with his wife Elizabeth and farmed in the Mint Hill area near Hood's Crossroads. Martha was predeceased by her son, James Randolph Norton and her husband William Randolph Norton, and survived by daughter, Mary Norton Kratt and husband Emil F. (Jim) Kratt; grandchildren, Emil William (Bill) Kratt and wife Cathy of Raleigh, NC, Laura Kratt of Troy, NY, Hunter Kratt Skinder and husband Mark of Greenfield, MA; and great-grandchildren, Eli Jacob Kratt, Ethan Randolph Kratt, and Eva Cedar Skinder. A proud, generous, and high-spirited woman with many gifts, Martha's delightful letters, meandering tales, witty sayings, and admonitions to her family and kin will long be remembered. At the age of 97, although blind and confined to a wheelchair, she demonstrated to her spellbound great-grandsons how to swim the sidestroke. A graveside memorial service will be held at Sardis Presbyterian Church at 10 a.m. on Monday, February 15. In lieu of flowers, memorials can be sent to Crisis Assistance Ministry, 500A Spratt St, Charlotte NC 28206 or to the North Caroliniana Society, Wilson Library, UNC Campus Box 3930, Chapel Hill, NC 27514. Heritage Funeral Home is in charge of arrangements. ,,,and a "BIG ONE" predicted for the weekend. Where was all this snow....when we really needed it? Just think of all the "days off" from school we could have enjoyed if only the snow had showed up 60 or so years ago! But Noooo! I believe we can count on one hand the number of days school was closed back then because of snow. I don't even recall anything about it ever being closed because of "teacher meetings, etc"...like they do today. That tactic worked pretty good until late one afternoon my 5th grade teacher, Miss Willis, happened to drive by the house and saw me playing in my front yard. I could never look her in the eye after that. From what I hear on the news, Charlotte has had a tough winter too. If anyone has any pictures I'd love to see them.